If you have taken out any insurance at all on your car, there is a very high chance you are paying more than you should. This is one of the issues that may car owners face – and most of them do not even know it. That is why we have put up this piece to help you get a lower car insurance on your vehicle. Note that this is not one of those articles that leads you to the cheapest car insurance options on the market. If there is anything we have found out, it is that cheap is not always great. However, that does not mean you should pay through your nose, or get billed for extras you don’t even need. 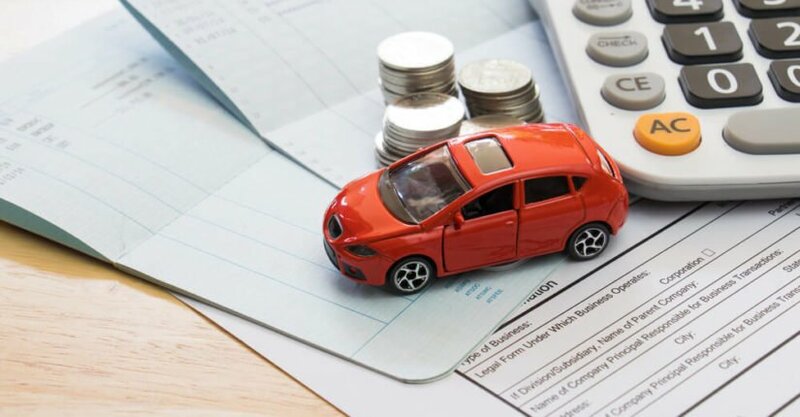 How Do You Know If You Are Paying Higher Auto Insurance Rates? Why Is Car Insurance Getting So Expensive? It would be counterproductive to discuss tips on how to lower your car insurance premiums and not know if you were overpaying in the first place. One thing to note is that car insurance costs have been on a high for long time now, and they don’t seem to be coming down anytime soon. Besides that, car insurance companies will charge different premiums on their policies depending on a lot of factors. That could be anything from the zip code you are in to your income bracket. Yes, income bracket – following a 2016 Consumer Report study that suggested mid to high income earners will be charged higher. The good news is that you don’t have to keep burning a hole in your pocket just to keep your car insured. In fact, you can shave off a couple hundred with some or all of the tips below. Looking for some serious side income? Here are 100s of handpicked passive income ideas all tested to work. Let’s say location was not a factor and the insurance companies were not charging based on the perceived affluence of their individual clients. Would the car insurance rates still be high? No matter how you look at this, the answer would still be yes. We have yet to see an insurance company whose only task was offering auto insurance. They are also involved in other insurance models – housing, hurricanes, natural disasters, health, etc. – and the costs for these things are spiking. Combine that with the fact that people are now driving more, leading to more cases of accidents with more cars on the road. Besides that, repair costs are not what they used to be. You cannot get the same parts you used to get for $50 a couple of years ago at the same price today. In fact, that price would have climbed up a considerable rate since then. Consider a AAA report which confirmed that repairs on the front or rear collision on a car, complete with the advanced driver assistance systems (ADAS), could skyrocket to $5,300. Things get more interesting when you find out that this is just for a minor accident. These costs keep piling up and the insurance companies have to pay out. They do not want to fold, so the charges naturally trickle down to you – the end users of the insurance package. If, like many others, you are also tired of paying exorbitant fees in car insurance premiums, here are a couple of things you can do to remedy that situation. Just as it is with any other commodity, you cannot expect to get car insurance for the same price in different places. That is just how it is with business since everyone would be looking to get an edge over their competition. It would, thus, be an error on your part not to look for multiple deals before settling on one. Like we mentioned earlier, the cheapest is not always the best. Look at the coverage plans and ensure they are what you need. Some coverage plans are more comprehensive than others. To make things more flexible, you can go from insuring your car per mile (for low mileage drivers) to taking out the biggest package you could lay hands on. Consider the reputation of the company and above all, what everyone else is saying about them. It would interest you to know that different cars will have different insurance plans assigned to them. This is quite logical. After all, not all cars have the same cost price, and the cost of repairs on different vehicles won’t be the same. That, and we have not even mentioned the safety record of such a car and the likelihood that it would get stolen or not. 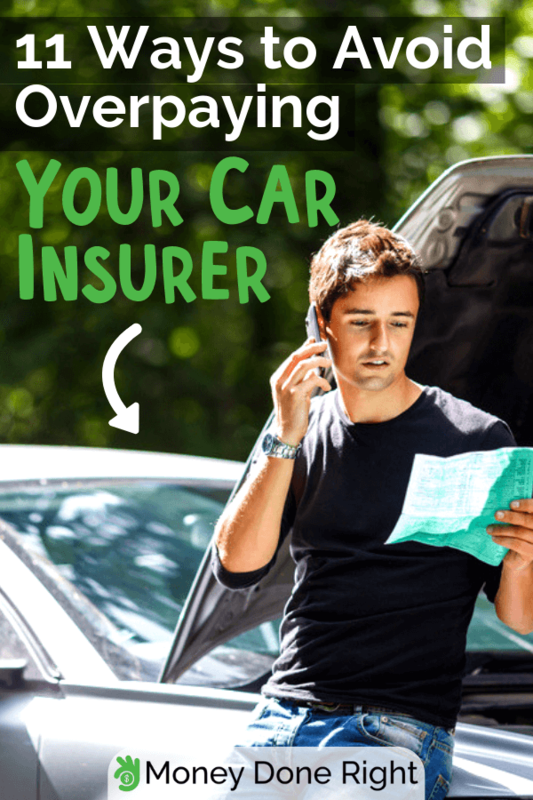 If you are getting a car, your insurance costs should be at the back of your mind too. Choose something that would be easier to maintain and repair, while bearing a lesser chance of being stolen when compared to other options. For an article which discusses how to pay lower car insurance rates, tipping you to ask for higher payments sounds counterproductive. Before you skip this point and come for our heads, hear us out. The deductibles are how much you pay before your insurance policy kicks in. What you might not know is that the higher you pay, the lesser you have to pay in premium. Let’s say you were supposed to have a $200 deductible but then, you asked for $500. That could cut back your premium by some 15 – 30%. Say you take that number up to $1000, and you could have up to 40% (and even more) taken off your total premium costs. Before signing up, ask your insurance provider for a higher deductible and see how much that helps you save. The higher you pay now, the lower you would have to pay in the long run. Like we have earlier mentioned, insurance companies will take the likelihood of you getting into a bad situation with the car into account before deciding on your final premium. If you can convince them that you would be safe enough with thee car, some of them will take the premiums lightly with you. Of course, the convincing won’t be by mouth. You would have to show this – by taking part in a defensive driving course and actually passing it. This shows how serious you are about keeping yourself safe on the road. By extension, that means keeping your car safe too. It won’t hurt to check (when shopping around for auto insurance policies) if your preferred insurer takes this into account. Insurance companies usually have a mileage threshold in place. If you are using your car to commute to work or run a commercial service, you would have to pay more in insurance. If your issuer has such processes in place, ensure to indicate a lower mileage on your form before handing it in. Many insurance companies should be able to tell you what anti-theft systems you can install to lower your insurance premiums. This is because they will show the companies a better sign of goodwill, and encourage them that your car has a lesser chance of being stolen. Even if it gets stolen, there is a high chance the car will be recovered – and your insurance company doesn’t have to cover much costs. Before you go on with this, though, you might want to check your intentions. If the sole aim of installing an anti-theft system is to lower insurance costs, we don’t think that would be a wise idea. If you would like an anti-theft system on your car anyways, it would help to lower your insurance too. There is no company that doesn’t like bulk business. In fact, they would do almost anything to get a bulk contract than have to deal with the logistics of a single one. That is why it usually makes sense to insure multiple cars at the same insurance vendor at once. Look through their plans to know how this might work. Some insurance companies would require that the car be jointly held by two people before they can quality for bulk discounts this way. Sometimes, blood relations with the others on the bulk list will be considered. At other time, none of those will matter – they will just be thankful that you have brought a lot of business to them. For that, they reward you (and everyone else on that list) with a discount. Another related tip to this is looking to get group insurance from your insurer. There are some alumni, professional or business associations which enjoy possible discounts from certain business providers. If you have such benefits in any of the associations you are a part of, use the group insurance discount to your advantage. It is always tempting to grab all the items offered under the car insurance coverage. Afterall, no one can predict when anything will happen, even if you had been driving without issues for years. However, that is just the emotional response to insurance – and might be what the company is riding on to charge you all those extra fees for things you might never need. Before putting pen to paper on another insurance package, ensure you take a step back to logically criticize all the offerings on that list. For example, we don’t see why anyone driving a really old automobile will go for comprehensive or collision coverage. Given that the insurance company would most likely total the car in such cases, and for amounts which might not justify the premium, this won’t be a viable choice at all. Look out for such items that can be left out, take the bold move, and do leave them out! If there is anything you must have gotten from this piece – besides how to pay lower car insurance coverage, that is – it would be that insurance companies love responsible people. To be candid, buying a house and taking out an insurance for it does not sound like what an irresponsible person would do. That is why these companies tend to give married couples or those that buy a car insurance policy with their home insurance policy a discount. You don’t even have to take our word on this one. Some data gathered by Quadrant Information Services pointed to the fact that those who bundled their car and house insurance packages got as much as an 8% discount on both offers. You are applying for insurance, not a loan. Why then would a company be looking at your credit score? Permit us to let you know at this point that they can do so – and they would be backed by law too. Well, in the states where such is allowed. Quadrant gathered some information on the subject for Insurance.com, and the results are nothing short of astonishing. The company obtained that those that had a good credit score could save as much as 17% over people whose credit score was considered fair. This gulf is made even wider when it comes to the bad credit score-holding drivers – as wide as 67%. That said, you should know just how important keeping a good credit score is to you. You can start out today by getting free credit reporting, monitoring and analysis. That will help you know where you are and also offer insights into improving your score to enjoy better deals. There are other potential ways by which you can lower your car insurance premium that might not have been covered in this article. The person that would be in the best place to know this is none other than the agent in charge. Even though they are working towards making their company money, they are also morally inclined to let you know if you can save on all that cost. Don’t hesitate to ask them for guidance and see what they can come forward with before going on with other methods yourself. Those are the top 11 ways to get lower car insurance premiums across any and all of the automobiles you are responsible for. They won’t make the costs go away, but they will do their best to make sure the payments don’t break your back. Implemented well, you will be able to shave off some coffee money – and you have your car to thank for that. Great post! Have you tried or looked into any “pay as you go” insurance carriers?